whether you want to share something about music, movie, photography or travel, making a fake entertainment magazine cover is the best choice for you to attract more attention from viewers. 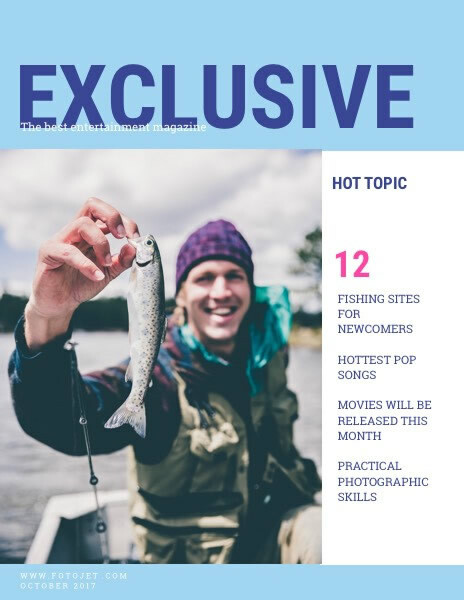 This delicate entertainment magazine cover template makes a good sample for you. What you need to do is just customize it for your personal needs. There are many editing options provided for you, adding more words, uploading personal photos, and embellish it with delicate clipart images.